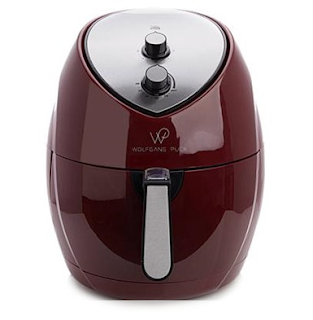 Today only, while supplies last, get this Wolfgang Puck 7.2 Quart Air Fryer for ONLY $49.99 (Retail $79.99)! Wolfgang Puck 7.2-Quart 1700-Watt XL Air FryerTurn dinner dreams into reality quickly and easily with this air fryer. Instead of deep frying in oil, Wolfgang's wonder evenly circulates hot air around food to give it the fried taste we all love, without the added fat and calories. Its extra-large capacity means it cooks everything from appetizers to a whole, 5-pound chicken. Let this powerful appliance cook your dinner to perfection.